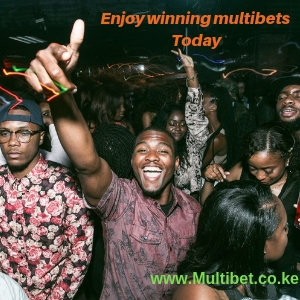 A weeklong multibet is a bet that runs for several days .Kenyans love multibets because of the high odds and the possiblility of winning huge amounts from little investments . At multibet,we came up with the idea of spreading the games over several days and we have had great success .The multibet normally starts on Thursday and runs till Sunday when the final games are played . With 12 or 13 or 14 games depending on the week ,our weeklong multibet normally has between 90 – 120 odds . 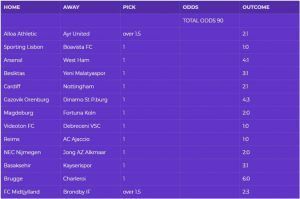 Just last week our weeklong multibet with 90 odds came through and our customers made a lot of money .Its always great to spread the risk over several days .Below is last week’s results . When you place more than one game on your betting slip you are increasing the probabilities for the outcome.This in turn your risk of loss but it as well increases your odds which consequently increase how much you can win. Our methodology is very simple we combine games that we would have otherwise bet on daily into a single betting slip that runs over several days.It is easier to find up to three good games to bet on per day for several days as opposed to looking for 14 games to bet on for a single day. 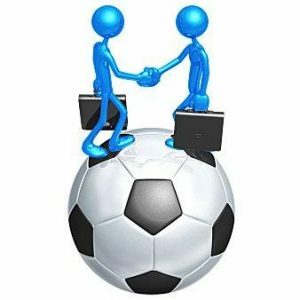 Dont get us wrong with the vast number of leagues in the worlds there are hundreds of games played everyday but not all games are carried by your preferred betting provider as they also evaluate which games provide a probable return for them when you loose.Taking this into mind it becomes abit tricky to find many games in a day that have higher chances of winning and are as well carried by your preferred betting provider. Step 1: Stake moderately on the whole week long multibet so that if and when it hits you make good money with a small amount of investment. step 2:Hedge the slip by breaking down the 13/14 games into smaller multibets consisting of three or four games and staking moderately on each such that in the instant that the multibet misses by one or two games your smaller slips still make you some good money overall. An example,given 14 games at 100 odds if you break them down into 4 smaller multibets of 3 games each you will likely come out with 4 smaller multibets of about 10 to 15 odds each.If you stake ksh 100 on the main slip and a smaller amount on the smaller slips in the event that you miss one or two games there is a high chance that 2 of your 10 to 15 odds multibet will go through meaning you would make ksh 2000 to ksh 3000 on a losing 14 game multibet but still end up coming out onto with your initial float intact as well as some additional cash.